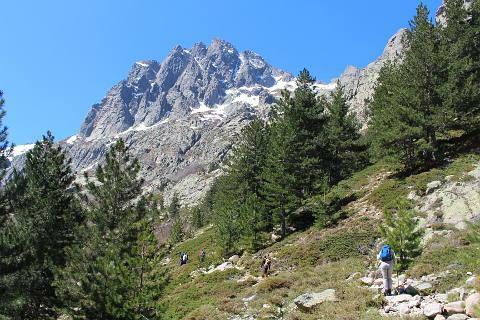 Whether you are a gentle 'Sunday walker' or a keen mountain hiker you will find a suitable walk from the hundreds of scenic hiking trails available in Corsica. 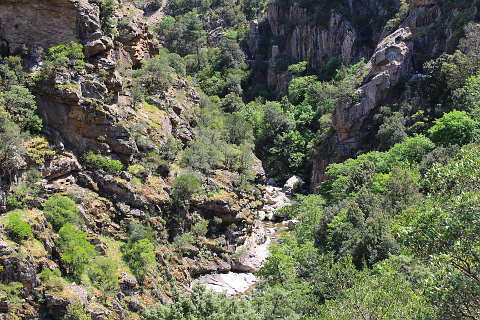 Corsica is truly a hiker’s paradise with many of the trails crossing the continental divide and can provide you with the ideal hiking destination, or somewhere to explore with the children. If you want a shorter trail than the ones that have been mentioned here, you are sure to find the one that is perfect for you in in the vast regional park or in the city of Corte - most towns will have a tourist office able to advise you if you are looking for a walk or hike a little less dramatic than the ones below, from a 20 minute amble to a hike of several hours into the countryside and mountains of Corsica. If you prefer an organised walk rather than venturing alone into the wilderness there are several companies that can arrange these. The most famous hiking trail in Corsica is the GR20 (known as the the Fra li Monte). It is a renowned track that traverses the mountains of the island. The path starts in Calinzana, 10km north of Calvi, and continues towards Conza, to the south-east and 20 km north of Porto Vecchio. The GR20 is 200 kilometers long and can take up to two weeks or more to complete if you walk the entire route. The path makes no effort to avoid the mountains or the steep stretches with a total height variation of more than 10,000 meters. The GR20 passes almost no towns and needs to be accessed at the beginning or the end of the trail. The Fra li Monte trail is well signed and there are camps along the way called refuges. These have mostly been established by the PNRC (Parc Naturel Regional de la Corse). Some of the refuges have mattress rests where they will permit you to stay the night (for a fee) but you will need to bring your own sleeping-bag. Along the route, camping in a tent is only allowed in these areas. A tent is also a necessity, for days when there is no available space in the refuge. Some of the refuges have snacks and beverages available, but is it highly advised to carry sufficient water for your entire trip. Water is available at the refuges. Âlthough the path is well marked you are strongly advised to bring a map (or maps) with you in sufficient detail for detailed navigation. If you are less experienced, or don't have the time or enthusiasm for the great GR20, Corsica offers other many beautiful hiking trails. These included the less difficult Mare e Monte that passes from the sea up to the mountains, and the Mare a Man which travels from sea to sea. These trails should not be underestimated - you will use the same refuge camps as the GR20 and need to prepare for your trip with as much care. the Mare a Mare Centre that starts in Ghisonaccia to Ajaccio and is completed in seven stages. If you are near Saint-Florent, you can follow the sentier de Littoral (the coast path) - this path follows an old customs path from Saint-Florent to Ostriconi, via the beaches of Saleccia and Loto. The path takes two or three days to complete, with the most popular overnight stopping points being Saleccia and Ghignu.